Mining for gold is a tough job. 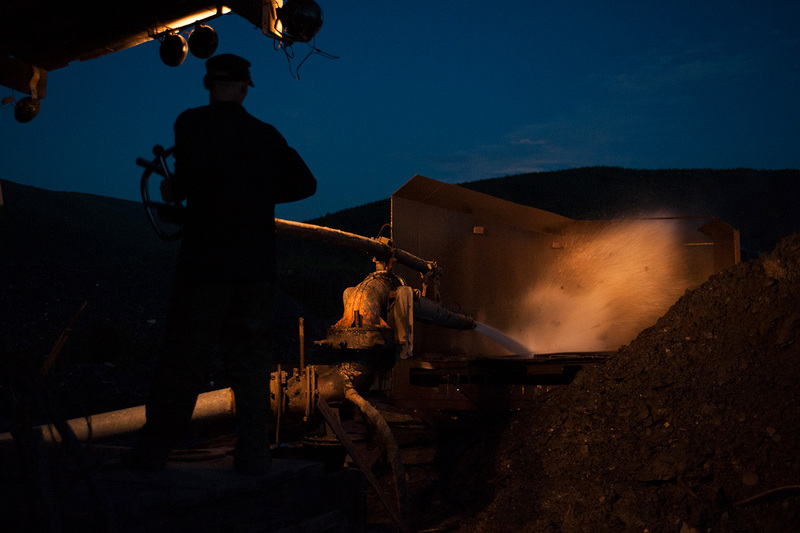 The shift lasts 11 hours a day, and miners can work from May to October. 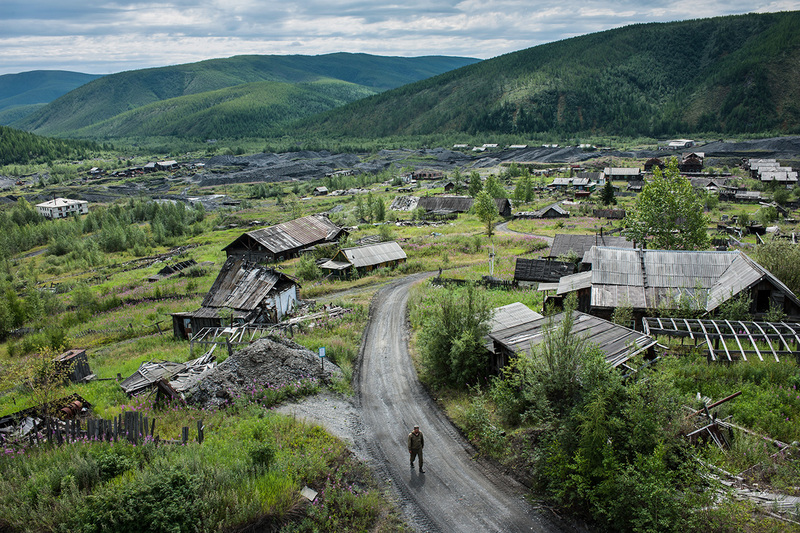 The Yakut mining settlement of Ynykchan appeared in the 1940s; it is now abandoned. 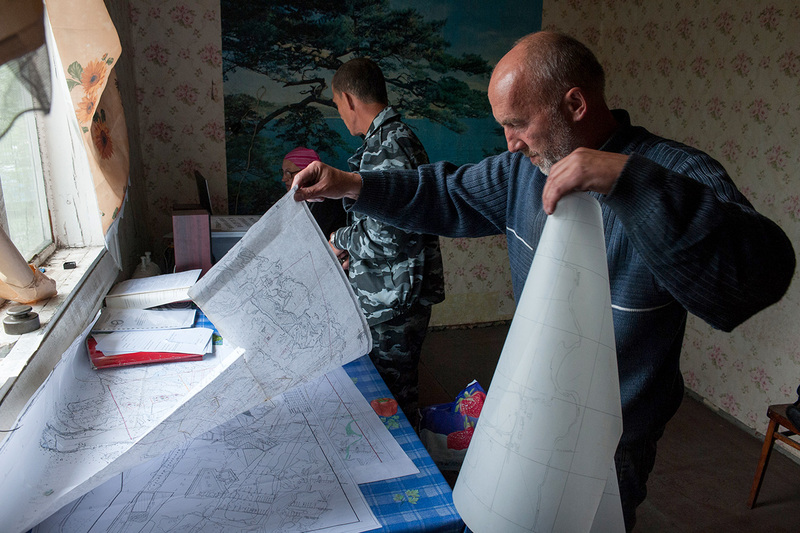 In 2008 Ynykchan residents were resettled: houses were demolished in the quest for gold underneath. 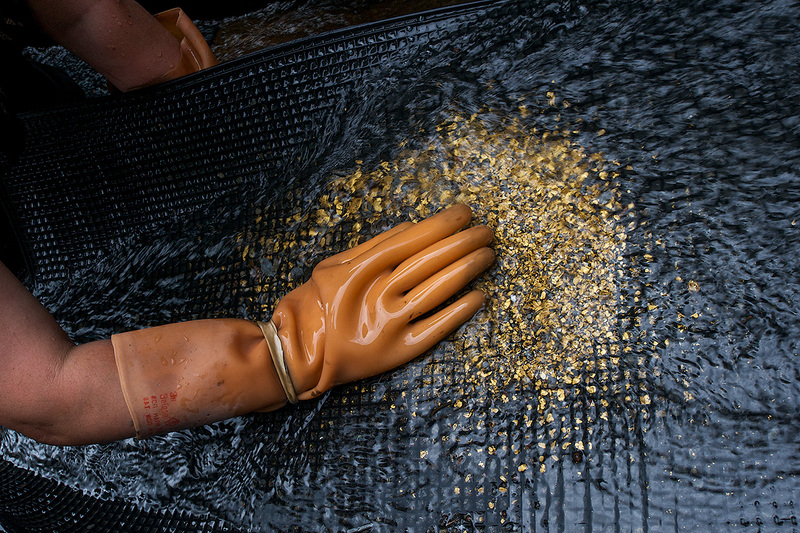 One cubic meter of land can yield up to 80 grams of gold—a tidy sum for a “wild” deposit. The hilly terrain around the village is mapped out with geological data. This chart is the prospector's best friend. Even gold objects left behind by residents are unearthed: teeth, buttons, coins and keys. 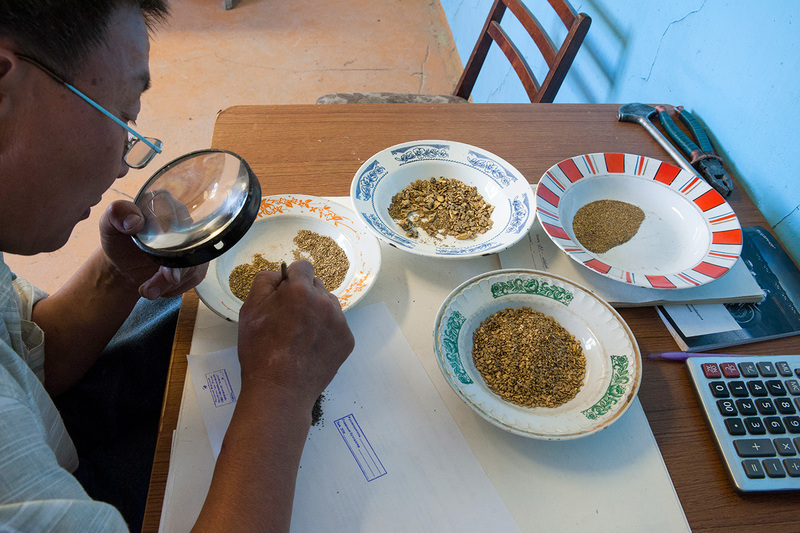 Everything is collected and counted: the gold-mining team has a target of 100 kilograms for the season in order to earn good money. Every year output is down; the resource is becoming depleted. Peak production came and went in 2000, yet the cost of mining continues to climb. 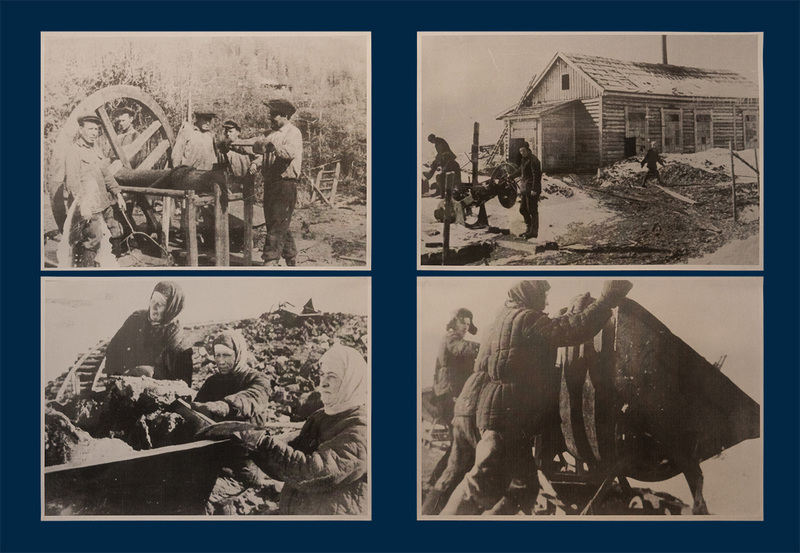 The first prospectors arrived in the 1920s: hundreds of Koreans and Chinese braved the most inhospitable areas, such as Ynykchan. Bulldozers rake the ground and iron boards are put in place, after which the glutinous clay mass containing grains of gold is washed off the rock by hydraulic jet. The slurry flows through the mesh bottom with everything left behind in the plugged-up chute; from here on the process is manual. 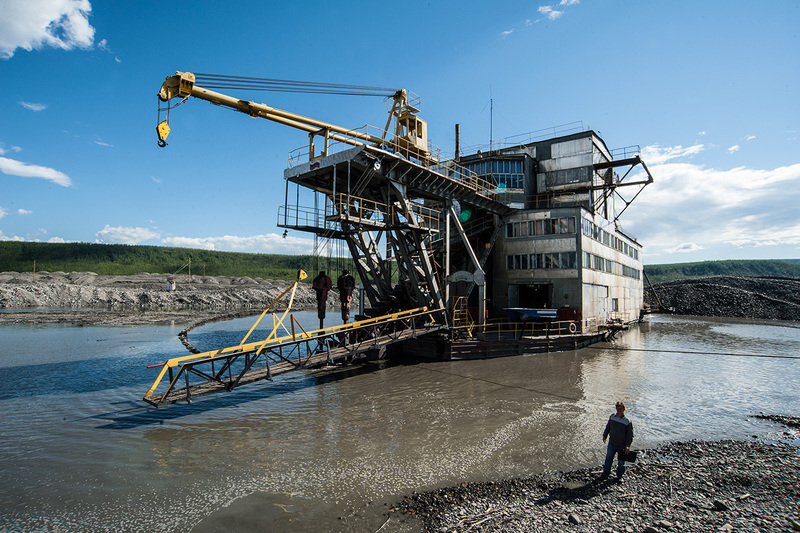 The Russian climate means that mining takes place only five months a year, from May to October. The day is divided into two shifts, each lasting 11 hours. 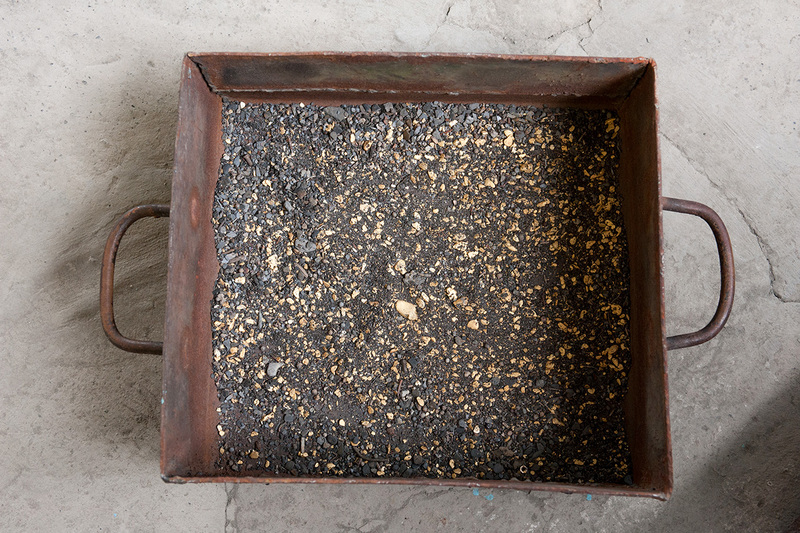 The industrially produced gold is purified from admixtures of tin, silver, mercury and copper, after which ingots are cast and measured by weight and purity. 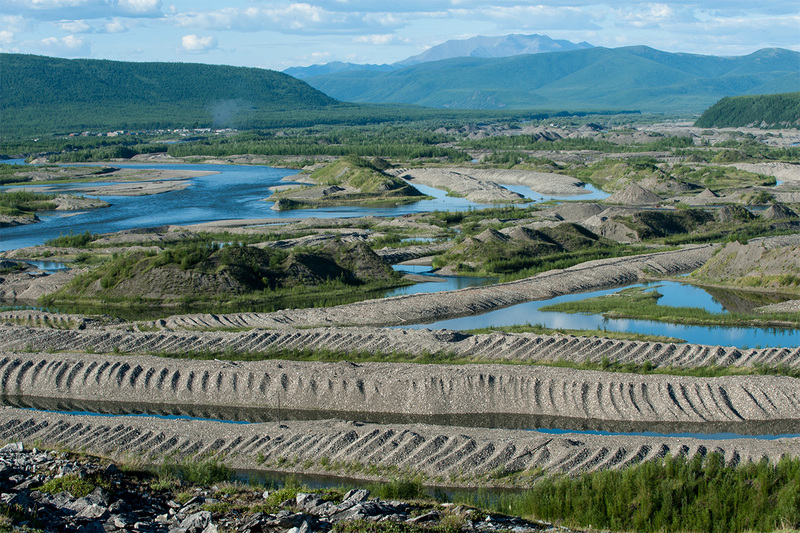 Russia’s largest gold deposits are located mainly in the east of the country: the gold-rich regions of Khabarovsk, Krasnoyarsk and Irkutsk. 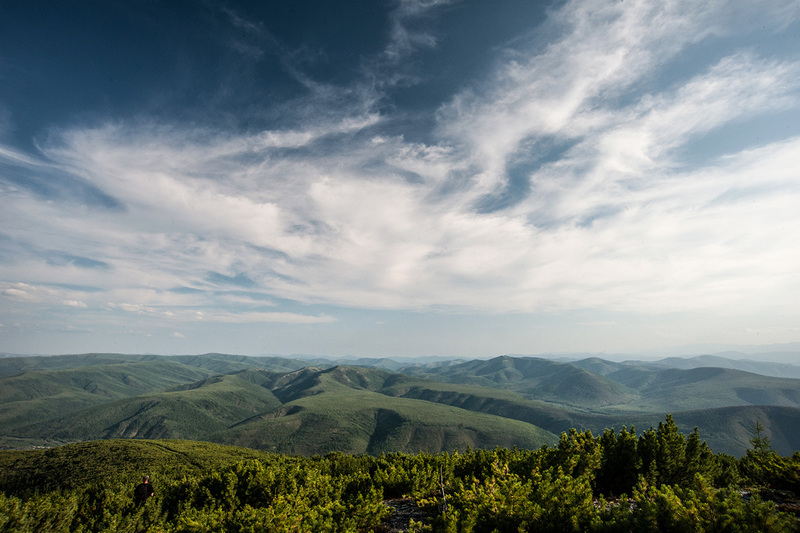 Major gold reserves are also found in the Ural Mountains, which marks the divide between the European and Asian parts of Russia. 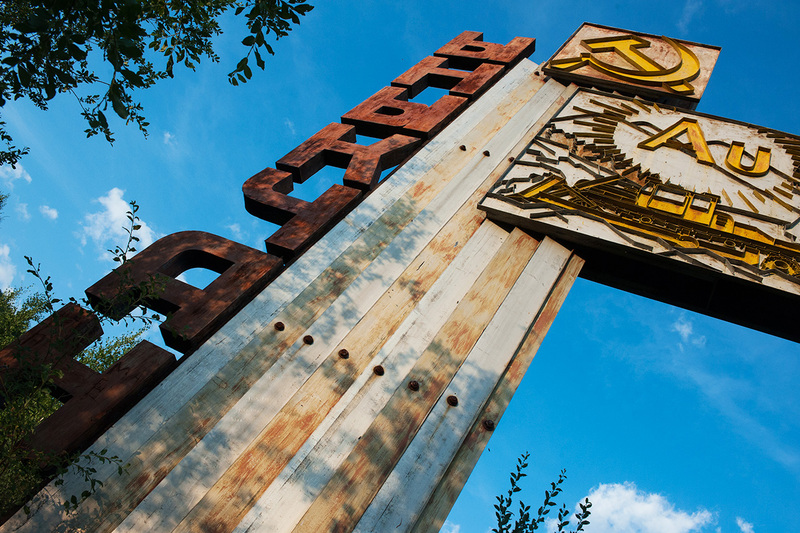 In Russia (as in the Soviet Union from 1954), only the industrial production of gold is permitted. It is carried out by major companies operating under state contracts. 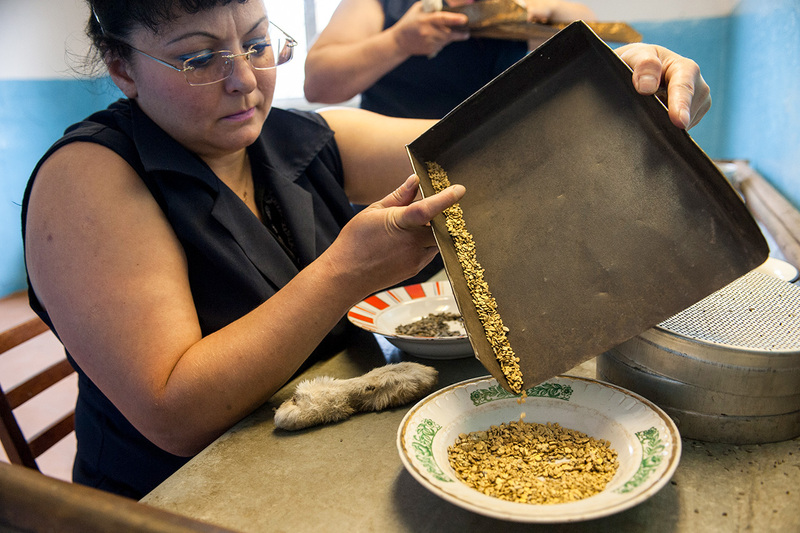 The past few years have seen parliament debate the idea of allowing private entities into the market, but it remains unimplemented.Read more: Where are Russia’s vast gold reserves hidden?